Quick PSA: a lot of ppl came to us in the past few years excited by what they saw as the success behind A People’s Archive of Police Violence in Cleveland. * Ppl wanted to use as a model or case study & seem to think that the easiest part was recording folx & putting it on the web….. They miss that the reason the project came together as well as it did was because the activists and organizers were front and center. We offered suggestions on best practices but the site was designed with the organizers’ needs in mind…. So pls, if you’re pulling together a project that you claim is like APAPVC and the organizers’ needs aren’t front and center AND you don’t have a plan for sustainability of the project (or haven’t discussed that plan w/community members), please… keep it. Seriously. For complete thread see twitter feed of Tessa Wracked. , Stacie Marie Williams,a writer whose work appears has appeared in Gordon Square Review, Racked, New York, Catapult, The Nation, LitHub, and The Rumpus. Her latest book is Bizarro Worlds, about gentrification and race (Fiction Advocate). She is director of the Center for Digital Scholarship at the University of Chicago and an advisory archivist for A People’s Archive of Police Violence in Cleveland. 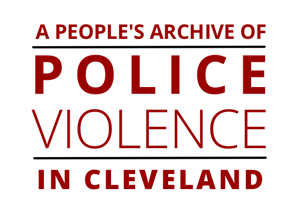 *A People’s Archive of Police Violence in Cleveland collects, preserves, and shares the stories, memories, and accounts of police violence as experienced or observed by Cleveland citizens. Organized in Summer 2015 by Cleveland residents and professional archivists from across the U.S., the archive hopes to provide the Cleveland community–especially survivors of police violence and the families of victims– a safe and secure space to share any testimony, documents, or accounts that narrate or reflect on encounters or effects of police violence in their lives and communities. In Poverty Safari Darren McGarvey includes profound observations on the role of the library in the community. He notes that the community centre is being imposed on the library to streamline the service in order to justify keeping the library open. This practice undermines the integrity of both the library and the community centre. It undermines the principle that communities should be entitled to these vital amenities independent of one another. (p. 153). 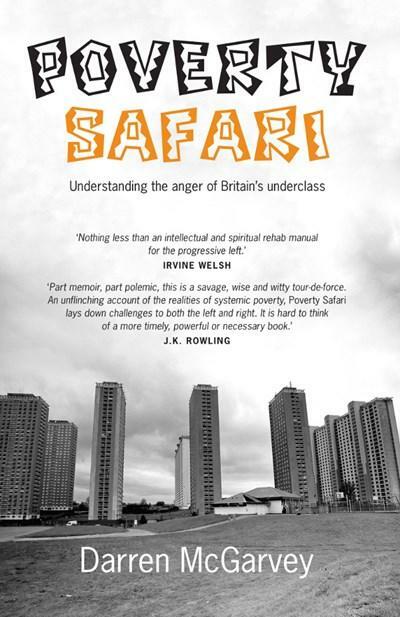 Poverty Safari by Darren McGarvey (rapper Loki), Luath Press has won the 2018 Orwell Prize. 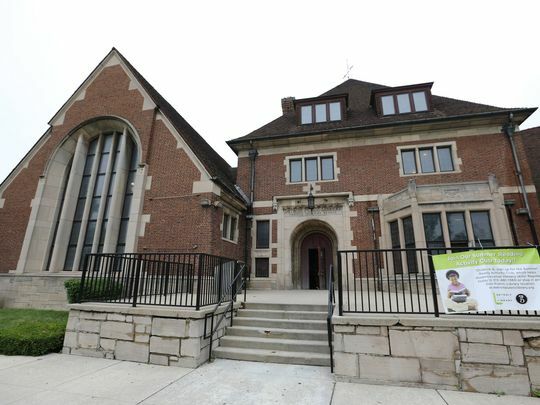 Libraries have long been repositories of knowledge, mostly through archiving and lending books, and places to go when school is out for the summer. In an age of the internet and Amazon, communities are trying to do more with these institutions as Bryant — and other residents — turn to them for help. Now libraries are helping people find housing, jobs and start new lives. Public libraries & adult basic skills programs. Advocate For and Partner With Each Other. Public libraries have an important role in promoting, providing, and advocating for adult basic skills services. There are a wide range of specific actions they can take wherever they are on the literacy action spectrum, from libraries that are new to thinking about adult basic skills services to those that are long-time providers of basic skills, often through collaborations with community-based adult basic skills programs, and those that advocate locally, in their state and nationally for resources for adult basic skills. Collaboration between libraries and adult basic skills programs can be mutually beneficial for both, as both parties can bring resources such as funding, space, knowledge, and technology, and can advocate for each other in their public policy advocacy work. Less poverty and economic inequality and more civic engagement and participation in all our society offers to individuals. ODC is made up of professionals working in adult basic skills, social services and poverty reduction, who believe that adult basic skills and lifelong learning programs can open doors of opportunity to healthier, more prosperous and more satisfying lives. ODC members have expertise in connecting adult basic skills to healthcare, employment and training, corrections, and family and social services. Public libraries should be primary instruments for civic education in the community. To distinguish truth from fiction using critical thinking strategies. The workshop uses real world examples in a “what do you see here?/what is missing?” type of format. The last part is about finding accurate information. Learn about strategies for change, and more: Examples of successful advocacy; Brief historical perspective; Choosing your battles; What matters to you? ; Who makes the rules? ; Getting heard: tools for change; “Tracking” civic/political issues. By looking back at the creation of the Constitution, we puncture some myths and develop a broader perspective on its significance—perspective that helps us evaluate current political events more thoughtfully.